Employee Testimonials | Niagara Caregivers & Personnel Ltd. I have been working with Niagara Caregivers for over one year. The staff is always kind and polite, as well as committed and supportive in assisting clients and caregivers find one another and fulfill their respective needs. In my time working with Niagara Caregivers, I have been placed with families as an RN, as well as a Nanny. I have enjoyed all my previous placements, and continue to work with a family and their young children. We spend our days playing sports, taking walks, baking goodies, dancing, making crafts, practicing our vocabulary with flash cards, swimming and watching movies ofr quiet time. My days definitely keep me busy and active, and I am always looking for new adventures and activities to share with the kids. If you are a natural caregiver, this is an opportunity to explore. 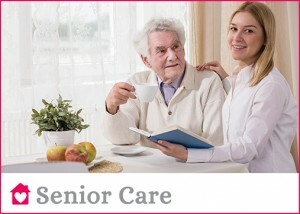 If you are a family looking for flexible caregiver options for a loved one, Niagara Caregivers are devoted to finding a dedicated and committed individual to work with each families’ unique needs. I am from the Philippines. My husband came to Canada as a Live in Caregiver via Niagara Caregivers & Personnel Ltd and was granted a landed immigrant status after several years. My husband sponsored me to come to Canada in 201. I did not have a job and my husband referred me to Niagara Caregivers where I met Cherie Richards, the owner. She made sure that I would be placed properly. What amazed me was that Ms. Richards not only run her business but she does it with the heart. She doesn’t just place or deploy people for money but when she does, she goes on every detail whether everything is proper and fair. For the Caregiver, she scrutinizes details from fair labor practice, to salary and safety. She cares about her clients. She gave me a good employer and I’m so thankful for that because presently, I’m earning quite good and my employers are good. I can’t thank her enough. I keep telling my friends who are looking for a job to go to Niagara Caregivers because they will not go wrong. For me, Niagara Caregivers and Personnel Ltd. is the best. I am very pleased with my family in Canada. They have treated me like a member of the family. They take me shopping in the city, on holidays up North, visiting family or out to eat. Bob is teaching me how to drive and will soon be purchasing a car for me to share with him, so I can help with the kids’ activities. Everyone is so good to me that I don’t have much time to get home sick. I am very happy with my family. Everything is just what I expected. I couldn’t have got a better family. It is great to work for a family in a foreign country; learning not only a new language but also learning more about myself through the children and household chores. I would recommend it to everybody! 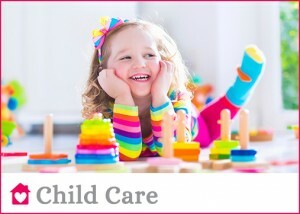 Nannies & Families! Being a Nanny in Canada is a great chance for me to learn a lot of different things, to collect important experiences and to see another part of the world. I like to work with kis and I’m surprised how much I learned being with them. It is very interesting meeting new people… I’m looking forward to travelling through this beautiful country after my term. Thank you for the opportunity to work. I have really appreciated your help. When I go to a home to help out, I represent you and your company. Therefore, I try to do the very best I can. I just want to say thank you very much for all your help. Thank you for helping me to start a new life here in Canada. You helped me find such a good family. May our Dear Lord continue to shower his blessing to you and your family and may he continue to use you to be a blessing to others. I just wanted to show my appreciation for the nicest person, you. Thank you so much for helping people like me. God Bless you always!